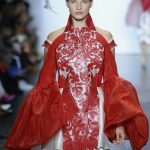 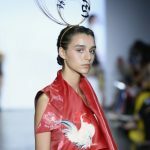 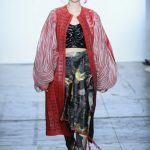 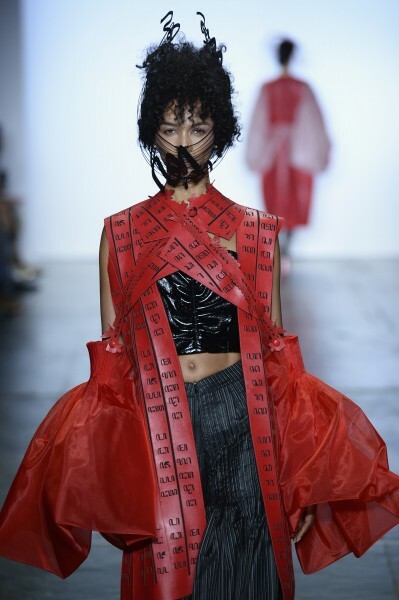 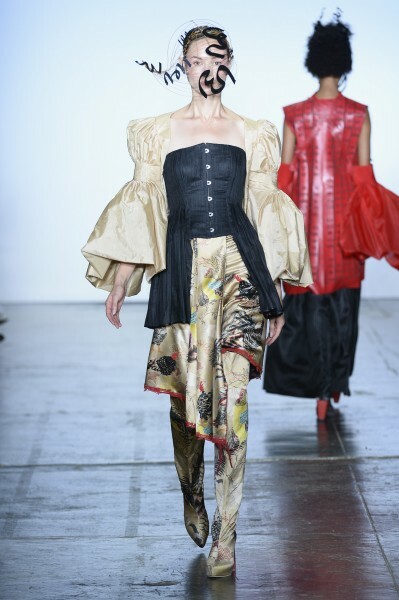 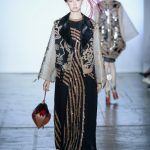 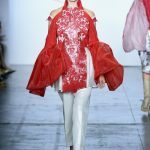 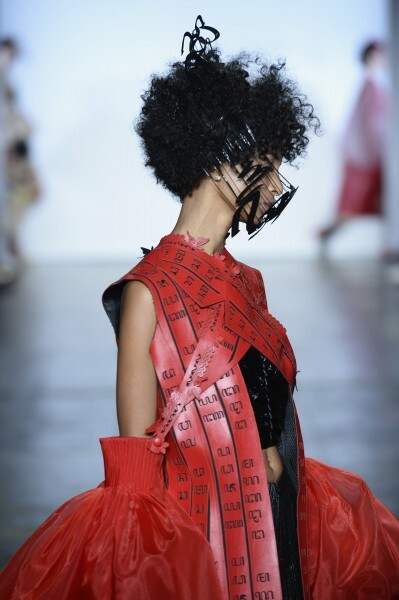 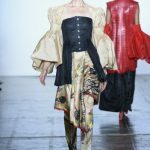 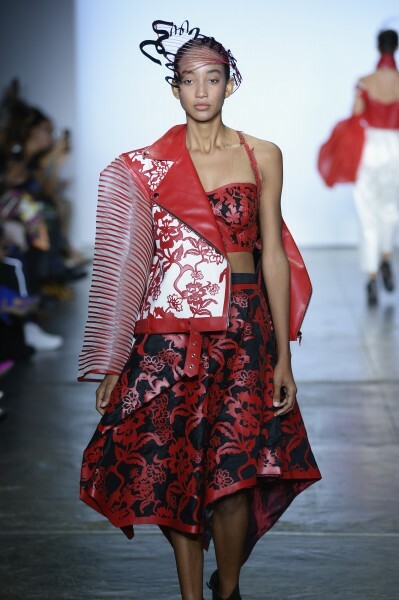 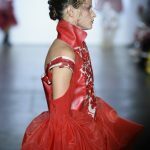 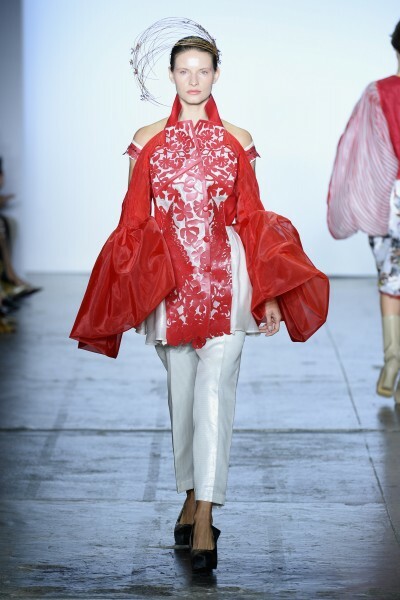 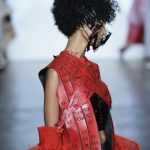 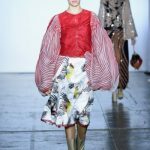 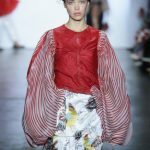 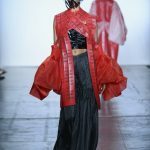 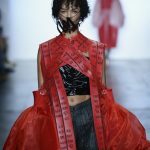 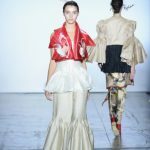 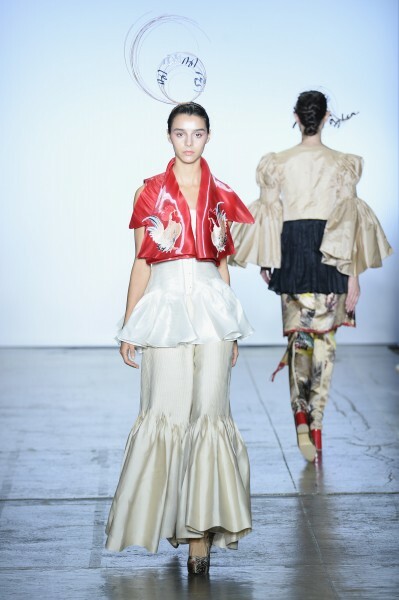 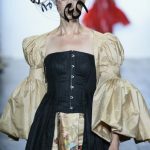 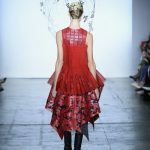 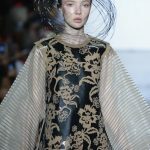 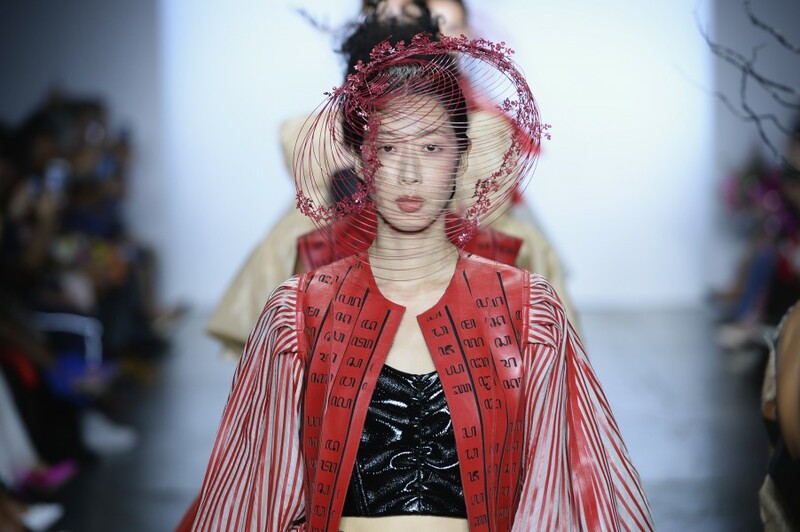 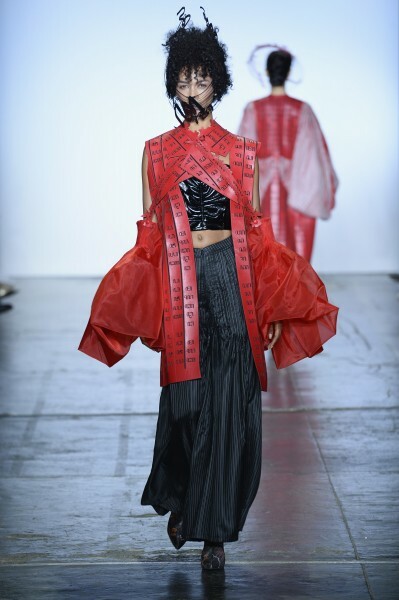 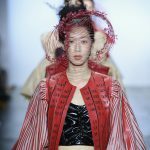 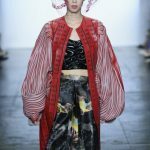 The theatrical Suedeson Spring 2019 runway show produced a series of pieces in red, gold, and black. 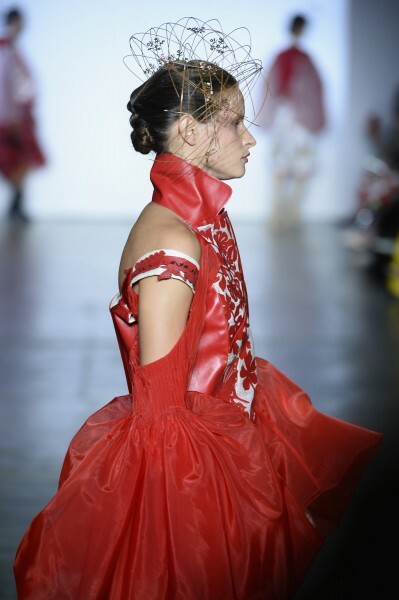 The variety was staggering: Romantic oversized ruffled sleeves accented dresses and vests. 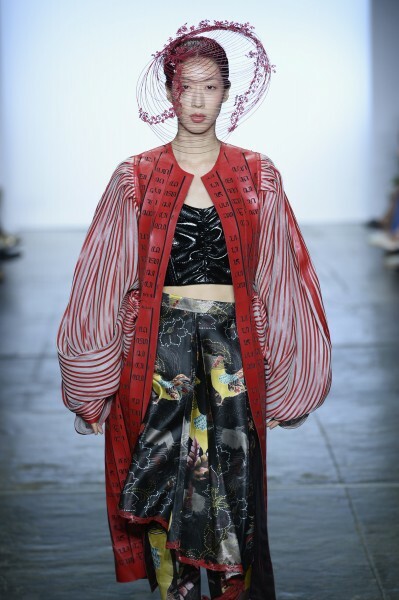 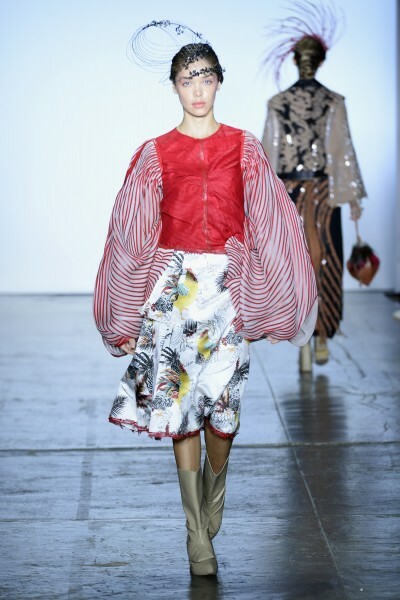 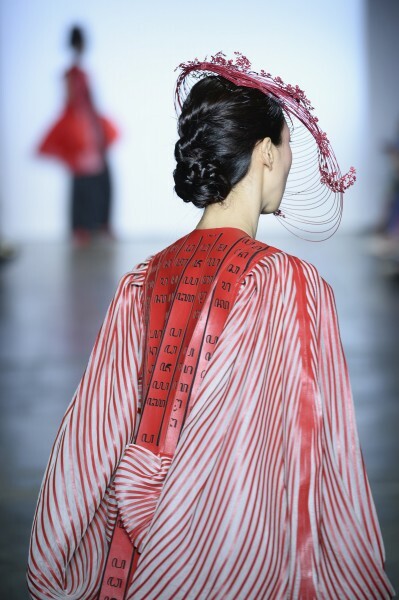 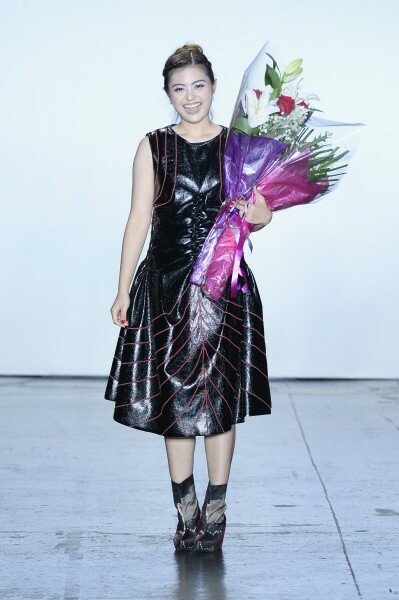 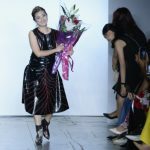 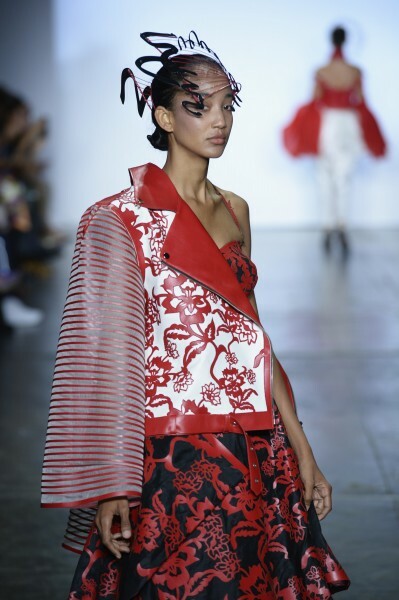 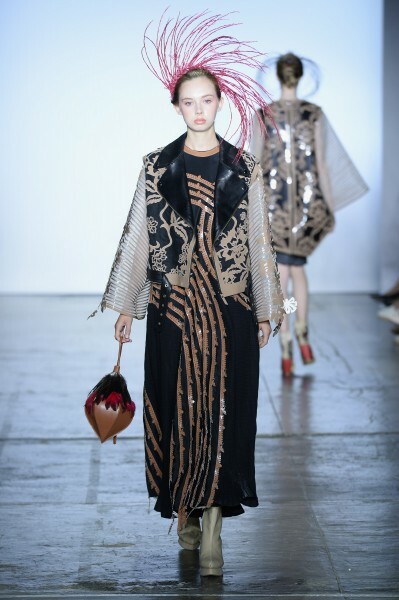 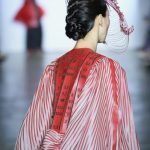 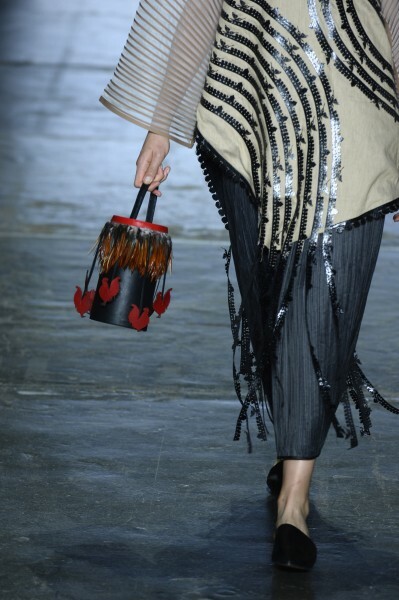 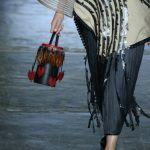 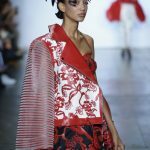 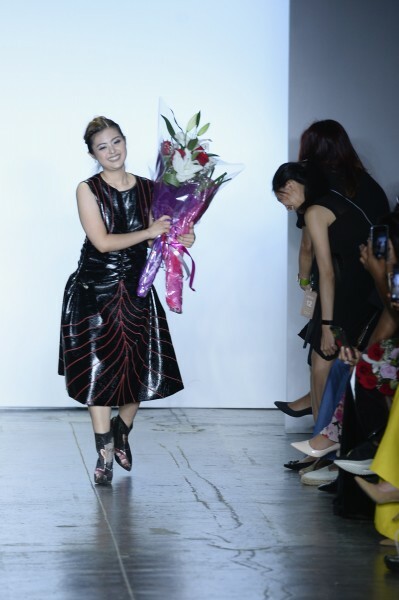 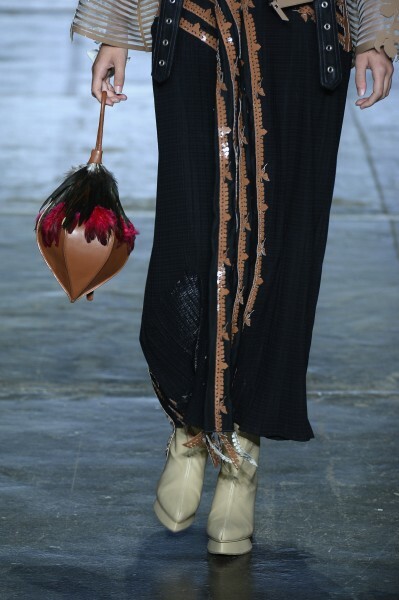 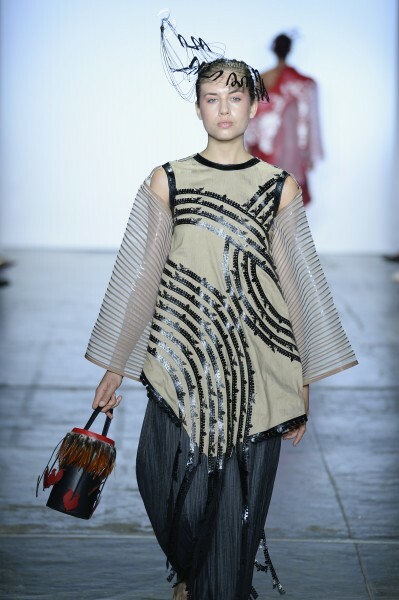 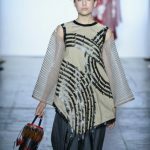 A skirt with a chicken print and matching boots was paired with a dramatic overcoat composed of leather-like strips adorned with what appeared to be Javanese script and puffy, red, striped, draped sleeves. 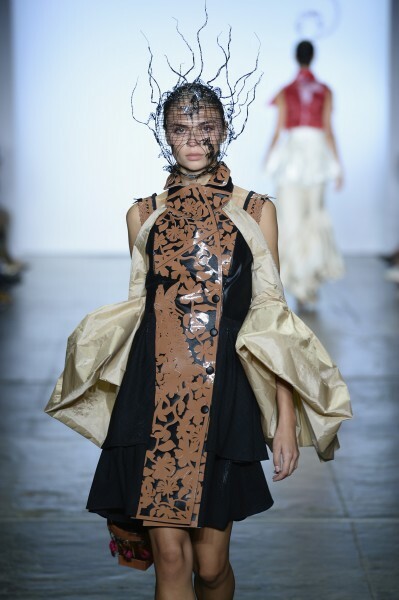 A tan floral laser pattern decorated dresses accented with beige sleeves. 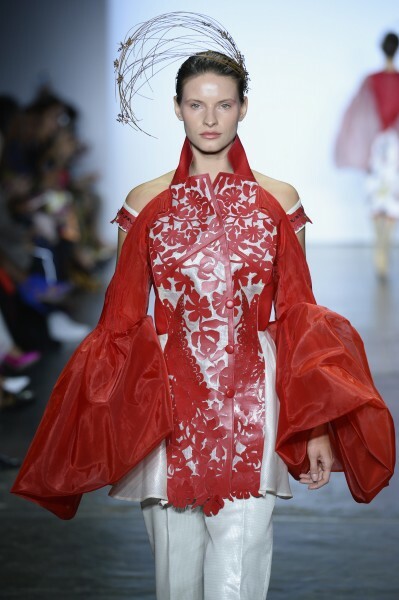 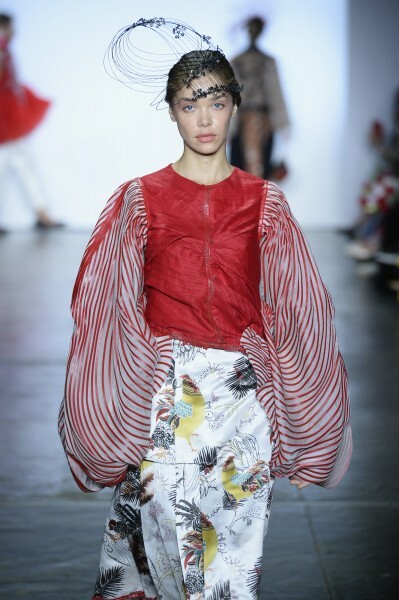 This pattern was also replicated in a beautiful scarlet and white coat accented with matching puffy sleeves and cigarette pants, in addition to a bustier and asymmetrical skirt. 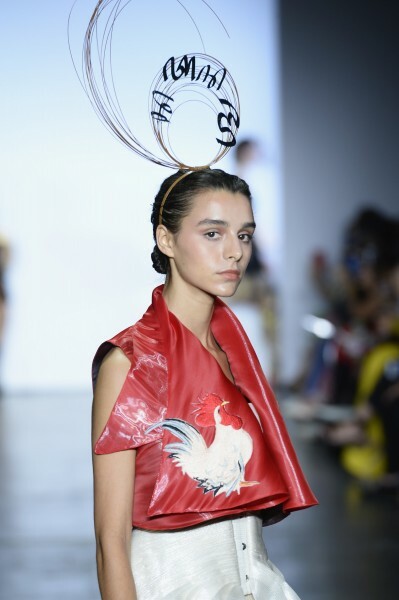 The chickens reappeared again embroidered on a sleeveless bolero paired with a silky ruffled corset and cream pleated pants. 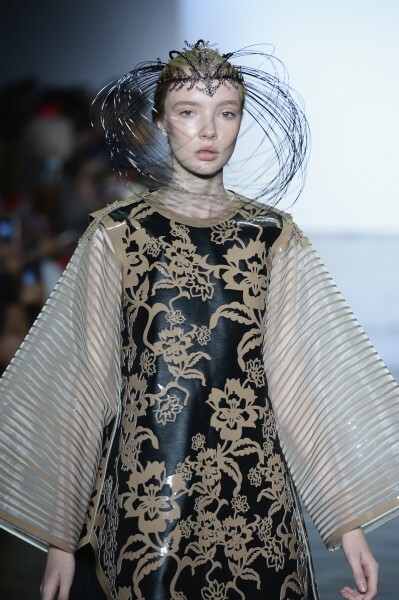 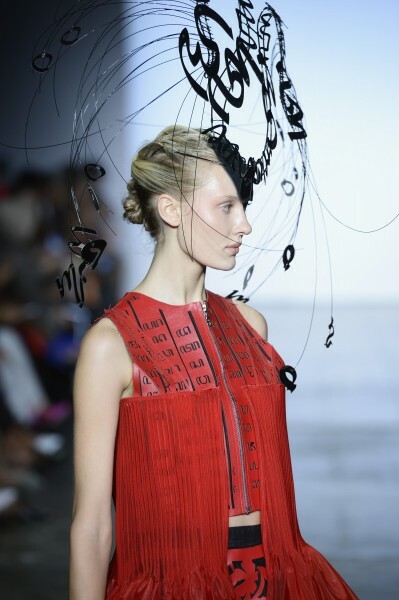 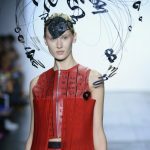 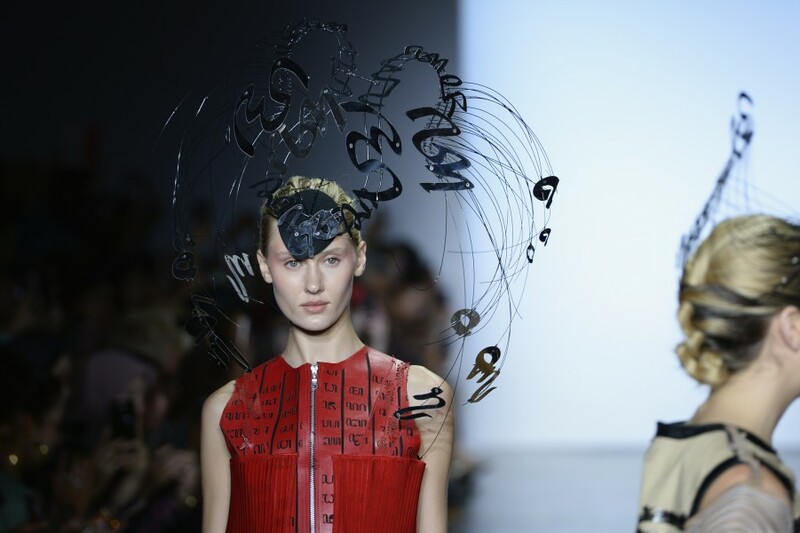 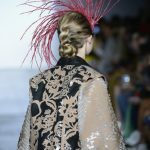 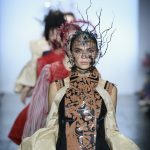 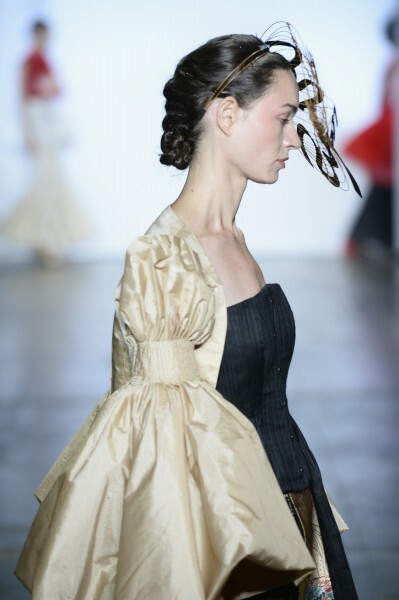 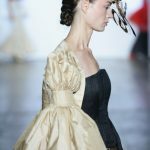 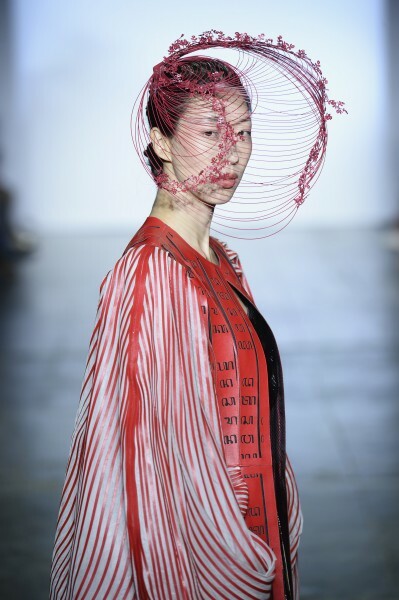 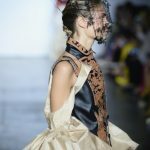 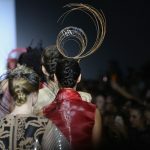 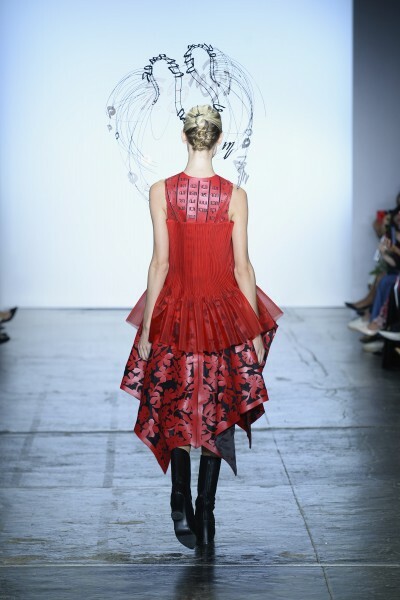 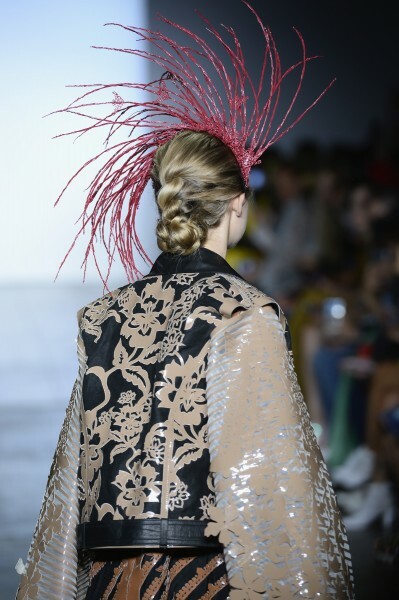 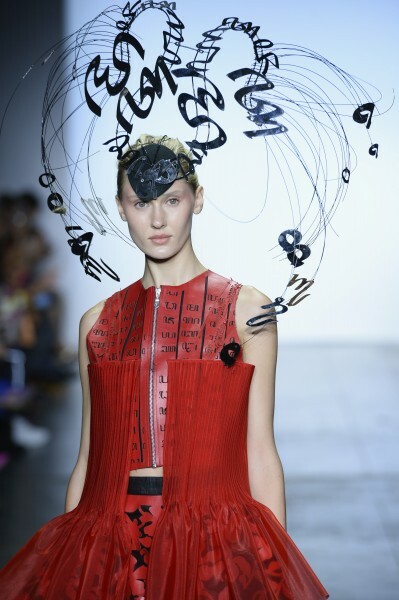 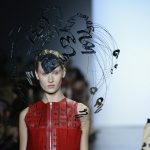 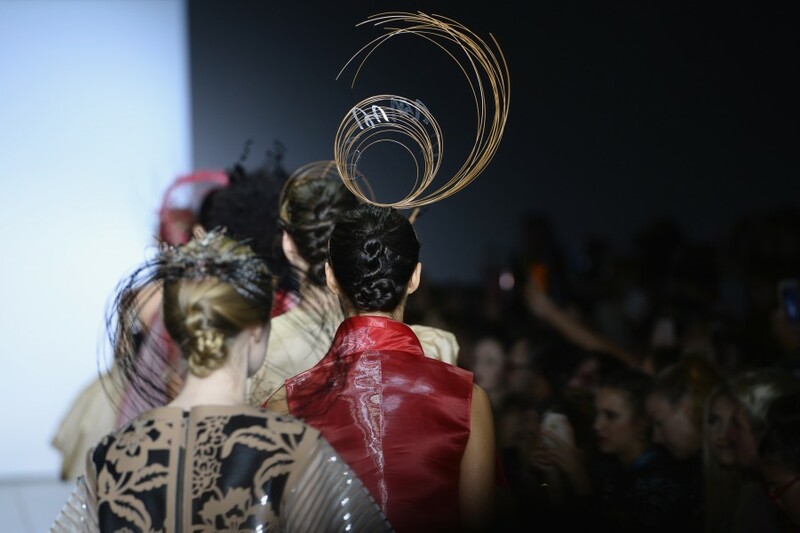 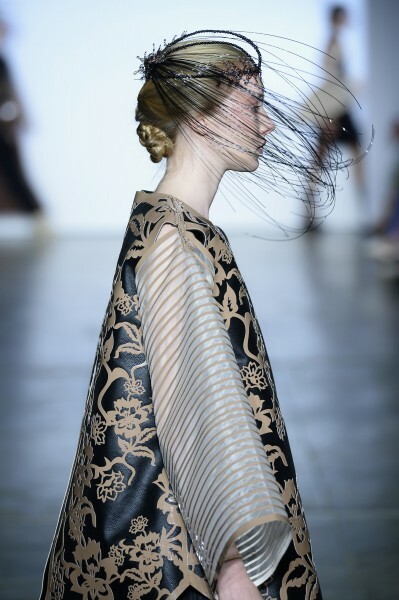 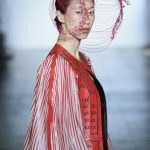 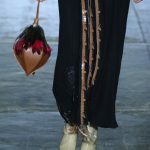 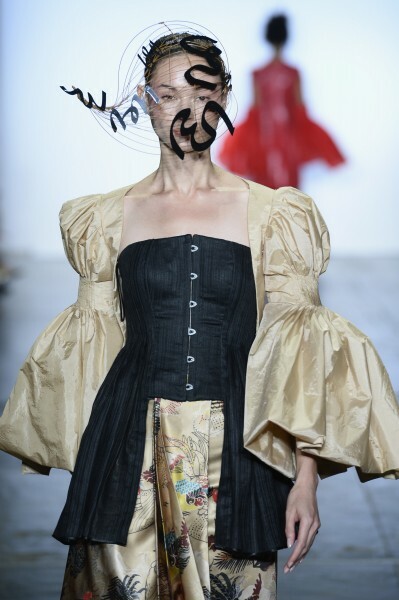 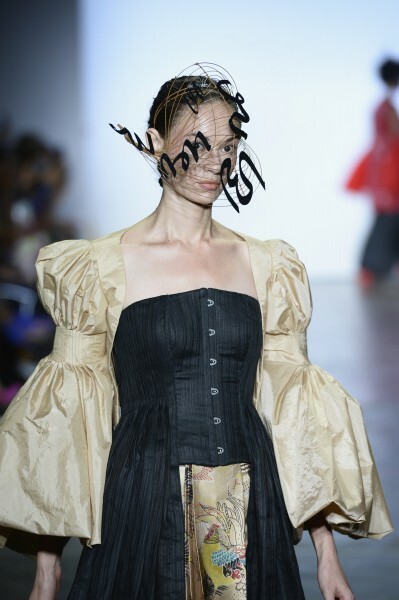 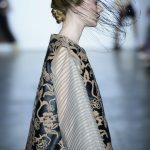 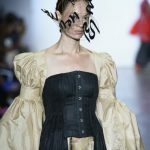 Models wore fantastical delicate, coral-like headwear or masks appeared to be made of delicate wire. 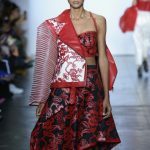 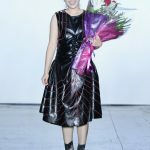 While most individuals probably wouldn’t wear a pleated zip up vest with a tulle overlay and laser printed floral skirt together, regular folks can separate the elements and blend them into everyday wear to stand out. 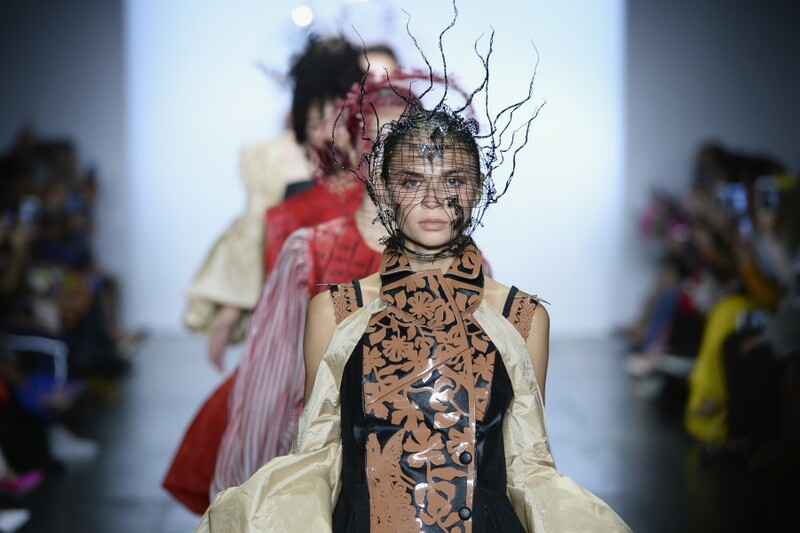 At only 19 years old, Suedeson designer Kimberly Tandra is already a creative force to be reckoned with.